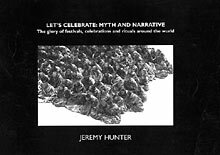 Award-winning photojournalist and television producer Jeremy Hunter has spent nearly three decades documenting the world’s festivals, rituals, pilgrimages and celebrations. All the images are in black/white. 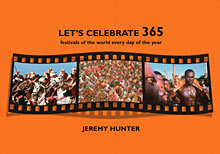 Somewhere in the world on any given day of the year there is a festival or ceremony taking place  either sacred, secular or spiritual. These extraordinary festivals and celebrations often take place against a backdrop of some of the world’s most stunning landscapes. 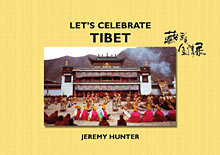 Jeremy Hunter has spent more than 25 years photographing these across 5 continents and 45 countries. Lanzhou, in Gansu province PRC, is the gateway to the Autonomous Region of East Tibet, - and Labrang, which is truly a Time Capsule and Snapshot in Time, where life, and the local customs, can still be witnessed as they were some five hundred years ago.